Fighter pilot who received the Medal of Honor during World War II for his efforts during the Guadalcanal Campaign. He was also a television personality who hosted ABC television's The American Sportsman from 1964 to 1967. He got his first taste of aviation when he visited a local airfield to see Charles Lindbergh, who was on tour with his aircraft. He was the first commissioner of the American Football League as well as the 20th Governor of South Dakota. He took over his family's farm when he was only 17 after his father was electrocuted to death in a freak accident. 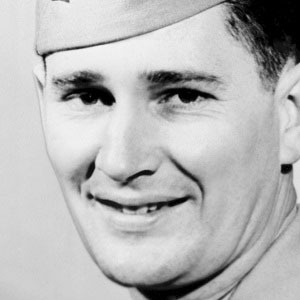 He received the prestigious Medal of Honor from President Franklin D. Roosevelt.